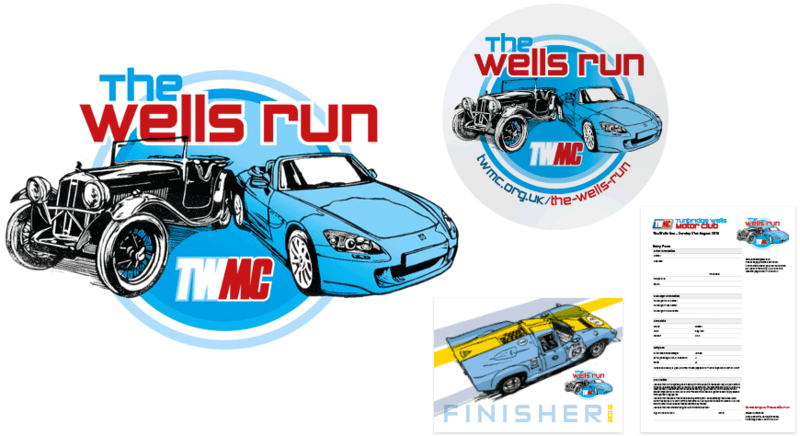 The Wells Run is an event organised by the Tunbridge Wells Motor Club. A navigational road run for classic and sports cars, we produced a number of different promotional items to support this event. We started by designing a logo that would be used on everything from the website, road book, rally plates to stickers and other promotional items. We designed, artworked and bought the print for the items produced. To keep costs as low as possible some of the items including the rally plates and magnetic finishers plaques were printed on flat unfinished sheets and cut to size by the client. A dedicated page was added to the clubs website with an online form people could use to enter and pay online via PayPal. The form is delivered by email to the event secretary.